British brand Bennett Winch is evidence that, in the world of luxury luggage, practicality doesn’t have to compromise aesthetics. The Weekender by Bennett Winch was the brand's first design and remains the hero piece. 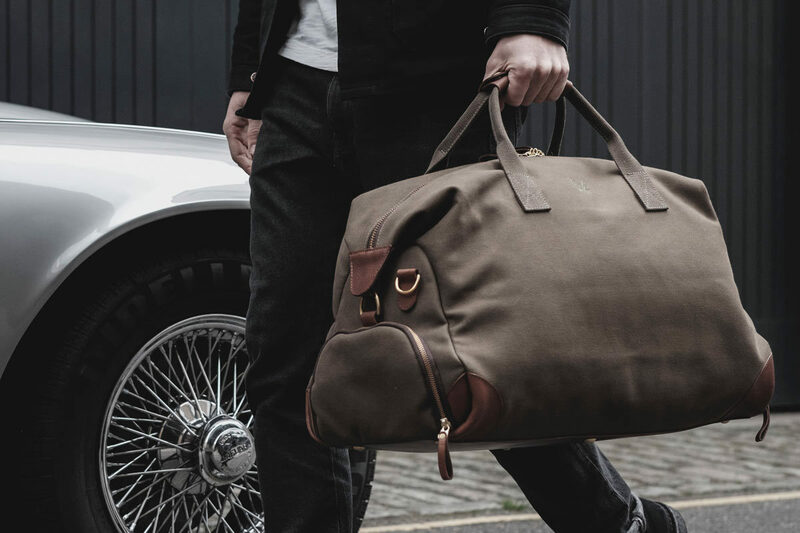 Functionality is at the heart of the British luggage brand, which was founded three years ago by Robin Bennett and Robin Winch – two friends from unconnected industries but with an unwavering respect for quality. Like all good ideas, the pair came up with the concept for the business at a bar, drawing a sketch for what was to become The Weekender on a napkin. After consulting Rupert, an award-winning product designer, that initial idea grew into a fathomable business, and the Robins quit their respective jobs to pursue that endeavour. The trio, who all contribute to the design and development of the bags, set out to create pieces that they each wanted in their lives, but couldn’t find on the market: highly functional designs that are still aesthetically pleasing. “Our brief is to always create completely uncompromised products that perform like no other,” says Winch. That meant taking well-established manufacturing processes and materials and manipulating them to create pieces someone would want to use, and rely on, every day. Having fine-tuned the processes, the logical place for Bennett Winch to grow is out – with more designs, new materials and to push into bigger markets. “The more we make the more we learn and our new product development pipeline is increasing all the time,” says Bennett. “We’d hope to be in a position eventually to increase the team and capacity at the factory to deal with increasing demand.” While there are plans for expansion, the trio agree that it will never be at the expense of the brand or the product – a commitment to quality that elevates this relative newcomer to the status of even the most established brands. Jessica is The Rake's Managing Editor.